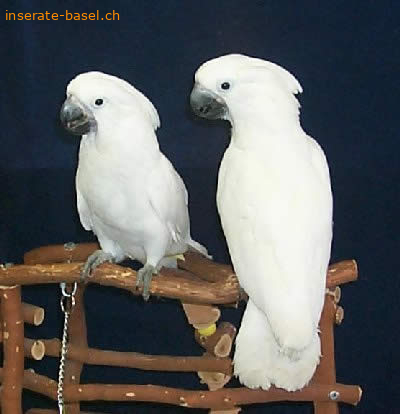 Inserate Basel : Anzeigen Hunde - Pair Umbrella Cockatoo. come with an extra large corner cage, travel cage and toys. :( they needs to go to a person who has Cockatoo experience and with someone who's looking for a life long companion.